David Meerman Scott, bestselling author of The New Rules of Marketing and PR. 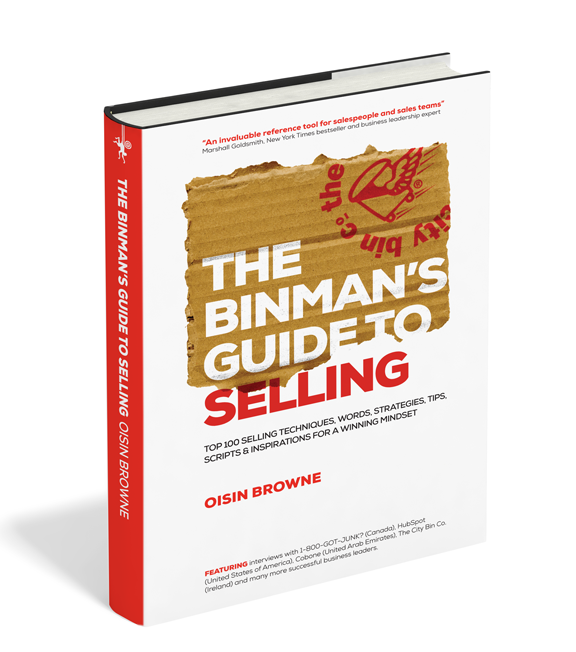 Oisin’s first book ‘The Binman’s Guide to Selling’ is an Amazon bestseller, and received international praises from top global business experts Marshall Goldsmith, Libby Gill, Verne Harnish, Jeffrey J.Fox and Al Ries. Oisin’s intention is to write a series of business books that will guide, motivate and inspire business owners and their teams. 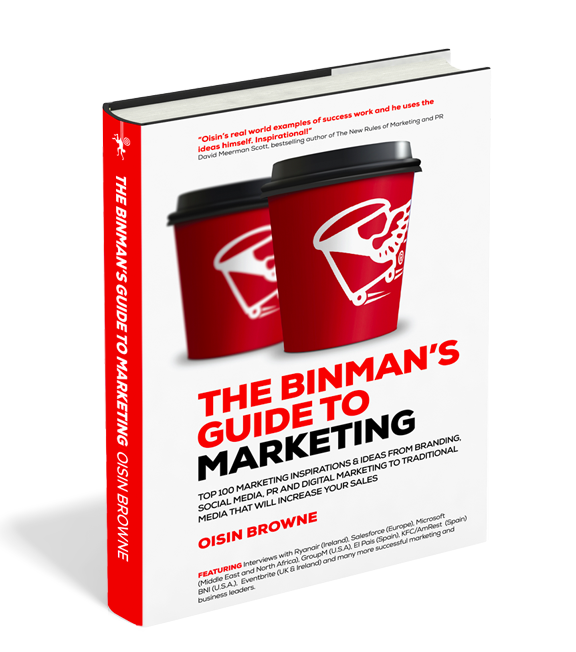 Oisin’s second book ‘The Binman’s Guide to Marketing’ became an Amazon bestseller two weeks after it was launched in 2017. Oisin is currently writing his 3rd book ‘The Binmans Guide to Customer Service’ and has road mapped many more to follow!